NJ Pre-Sell Inspection | Selling a home? During a NJ Pre-Sell Inspection, a home inspector is looking for what’s right and what’s wrong with your home. 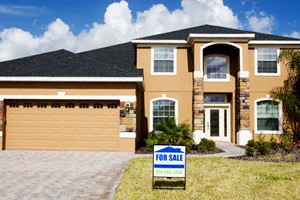 What’s wrong can lead to a renegotiation and a lower selling price for you. Let’s be honest, any home has its faults and if we live in a home long enough, we tend to overlook these faults and deficiencies. Someone coming into the home for the first time sees those issues and if they are a buyer, those issues become a negotiating tool. …gives you a thorough inspection of your home and identifies any problems so that they can be corrected before selling, and your home can be seen at its maximum value. Our mission is to maximize the return on your home investment or sale. By giving you the most thorough, in-depth home inspection, we identify flaws or issues that other inspection companies may miss, potentially saving you thousands of dollars in future repairs.